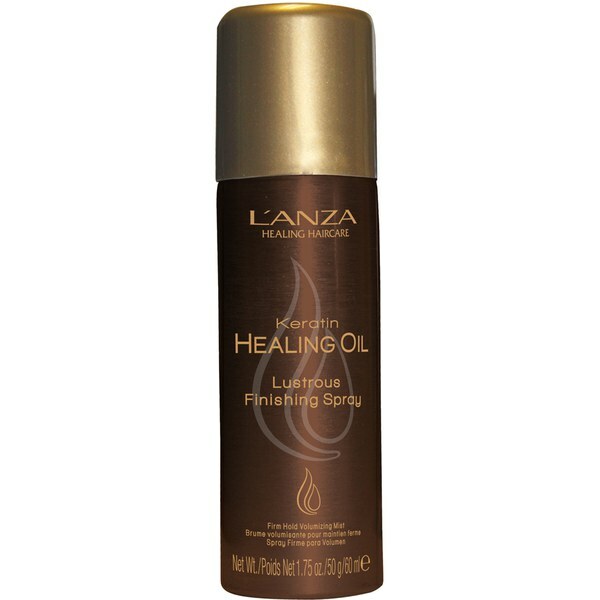 Achieve calm, frizz-free results with the L'Anza Keratin Healing Oil Lustrous Finishing Spray; a lightweight formula that delivers increased volume and luminous shine to your style. Its Phyto IV Complex deeply hydrates strands from root to tip, whilst keratin protein reconstructs the inner layers of hair for added body and bounce. Suitable for all hair types, the non-greasy mist provides thermal protection up to 260°C to shield from humidity, leaving you with sleek, radiant locks and a firm hold. E.N. Hold 5-8 inches (15-20 cm) from hair. Spray as desired styling and finishing results.